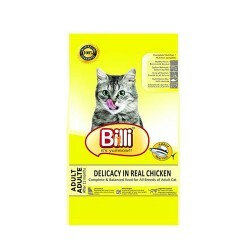 Product Details- Ingredients- a nutritious balance of protein, vitamins and minerals, Suitable- Adult Cats. Quantity -1.5 Kg. 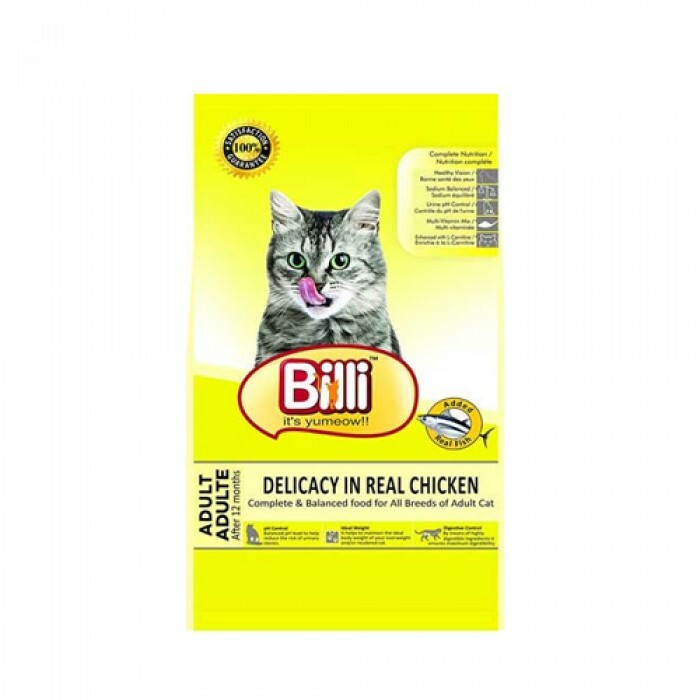 Product Information - Billi Adult Chicken provides a nutritious balance of protein, vitamins and minerals developed for adult cats (1-8 years of age). It promotes strong muscles, dental hygiene, healthy digestion and a shiny coat.Adult contains a unique blend of natural antioxidants plus vitamin C, E and taurine to help restore and replenish your cats natural defence system for stronger immunity. The inclusion of arginine, taurine and Vitamin E has been specifically developed to assist in keeping the heart and blood vessels healthy.